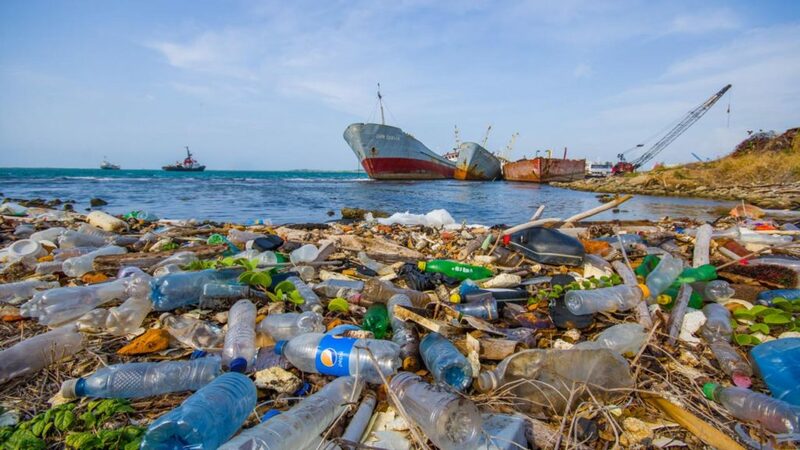 To mark the United Nation 2018 World Environment Day aimed at beating plastic pollution, this article seeks to highlight the costs of plastic pollution as well as to provide targeted and actionable recommendations for different stakeholders, especially in the African context. Plastic pollution has become one of the most pressing environmental concerns globally, having become the fulcrate of recent global policy debates bordering on marine pollution and environmental sustainability. At the United Nations Environment Assembly in Nairobi in 2017, over 200 nations signed a resolution which seeks to eliminate plastic pollution in the seas, reaffirming the UN Sustainable Development Goal 14 “to conserve and sustainably use the oceans, seas and marine resources for sustainable development”. Evidence indicate that plastic pollution poses serious threat to marine species and has adverse consequences for public health and environmental sustainability. Every year, 500 billion plastic bags are used around the world, 13 million tonnes of plastic leak into the ocean, 100, 000 marine animals are killed by plastics, and 83 percent of tap water are found to contain plastic particles –according to statistics by the African Development Bank (AfDB) . As plastic remains in the environment for centuries, the trillions of plastic pieces accumulating in water bodies form part of a global pollution issue that affects all coastal countries especially in Africa.. Eighty percent of the continent’s Gross Domestic Product is concentrated in just 11 African countries that have prominent coastlines (Nigeria, South Africa, Algeria, Angola, Egypt Morocco, Sudan, Tunisia, Kenya, Ghana and Libya) . With the present and projected unprecedented population growth and urbanization in Africa, especially in the coastal zones, Africa’s growing middle class is increasingly creating larger consumer markets for plastic goods with supermarkets replacing informal shops and markets. An additional 1.3 billion people [equivalent to 3.5 million per month] is projected to be added in Africa by 2050, and urbanization are expected in the coastal zone with an estimated 49 million more people in low elevation coastal flood plains by 2060 . While plastics are extremely useful and serve a variety of purposes, adequate plastic waste collection and recycling systems are lacking in many African countries. As a consequence, discarded plastics often ends up in the environment, where it can cause health and other problems for marine and land animals including humans, as well as climate change. Both micro-plastics pieces (between 2 to 5 millimeters) and macro-plastics (above 20 millimeters) often find their way into the soil and water bodies where they endangers animals, and can wind up in the food chain with health consequences . When macro-plastics entangle marine animals, mobility is impeded leading to starvation and increasing susceptibility to predators. Furthermore, when smaller marine creatures such as plankton are poisoned due to plastic ingestion, it also poses health problems for the larger animals that depend on them for food, including humans. As such, those who enjoy seafood are especially exposed to the harmful effects of plastic pollution: A study by scientists from the University of Ghent, Belgium find that shellfish lovers are eating up to 11, 000 plastic fragments in their seafood each year . Plastic pollution also has other adverse implications for land and its inhabitants. A study carried out in five continents in 2017 by the University Of Minnesota School Of Public Health revealed that 83 percent of tap water samples taken around the world contained plastic pollutants . This presents health challenges even for vegan and those who do not eat seafood. Furthermore, the breaking down of plastics both in its production and decomposition release methane –a greenhouse gas that contributes to global warming. In addition, the incineration of plastic in the open air, leads to air pollution that can contribute to respiratory problems when inhaled by animals and humans. Plastic pollution also poses significant economic costs: not only is the cost of cleaning up plastic debris from seas expensive , excessive pollution can negatively impact tourism and thus the macro-economy. Plastic pollution spread across countries, creating a regional problem with high costs for economically important sectors such as tourism and fishing. Although momentum on beating plastic pollution has grown in recent years, international efforts to limit plastic pollution have so far witnessed limited success in addressing the problem. Although the majority of plastic wastes do not originate from the ocean, most the international efforts have concentrated on the oceans. To fill this gap and to address the regional and transnational problem of plastic pollution, negotiations on a regional plastics treaty is necessary. A regional plastic treaty that tackles plastic pollution where it originates; fosters innovation for more sustainable plastics; and supports countries within the region in enhancing their domestic waste collection and recycling systems is vital. 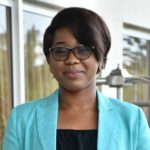 Given that collaborative efforts are necessary to achieve significant and desired impact, the regional community such as African Union, Economic Community of West African States can also create directives aimed at eradicating plastic pollution in the continent. Nevertheless, individuals and non-governmental organizations including civil society, research, private organizations as well as religious institutions and traditional groups also have key roles to play. For individuals, indiscriminate disposal of plastics on the streets, gutters and public places should be deliberately avoided. National and sub-national governments of African countries would need to provide incentives and penalty to ensure behavioral change and discourage indiscriminate disposal of plastics. For both individuals and organizations, collecting and supplying plastic bottles for recycling is needful to encourage re-use and help reduce the scale of plastic production. Particularly, research organizations (think tanks and universities) should embark on policy-oriented and behavioral research on plastic use reduction and waste mitigation in order to generate local evidence that can inform government policies. Civil society organization can leverage the research for necessary advocacy toward policy-making and implementation. Again, national and sub-national governments need to create the incentive structure to stimulate such behavioral change. For governments at all levels, there is need to implement more environmental-friendly policies and initiatives, especially relating to plastic pollution. For instance, at state level, the government of Lagos state, Nigeria has set a pace on environmental conservation through its Lagos Waste Management Authority (LAWMA). In addition to education residents on waste management, LAWMA recovers reusable recyclable materials from landfills sites which are then manually sorted and delivered to companies for incorporation in their production line . Kenya also sets a noteworthy example on the eradication of plastic pollution through its ban on plastic bags. 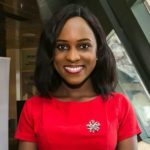 The ban came into effect in August 2017 and charges people who indiscriminately dispose plastics a fine of $40, 000 fine or risk imprisonment of up to 4 years . Going forward, national governments should work with their state and local governments to localize such noteworthy waste management initiatives. Plastic pollution is a global threat to environmental sustainability, public health and economic development, concerted efforts between individuals, think-tanks and civil society organization, national and regional governments as well as the international community is needed for effective management and mitigation of the effects of plastic pollution.